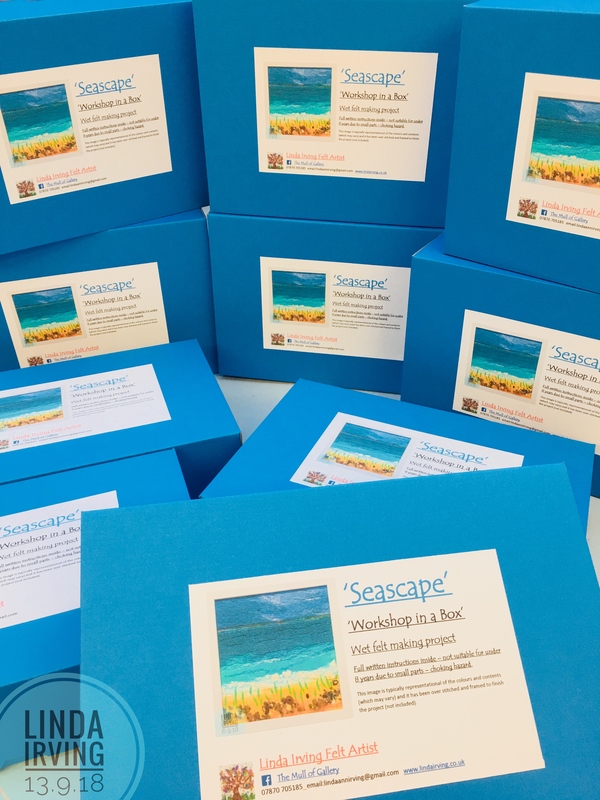 ‘Seascape’ – ‘Workshop in a Box’ £30 plus pp. Create a lovely seascape, fibre, silks, nepps and yarn, bubble wrap and netting and step by step instructions inside the gorgeous blue box lid. Just add soap, water and creativity when embellishing with stitching! For aged 14+ (younger accompanied by adult).